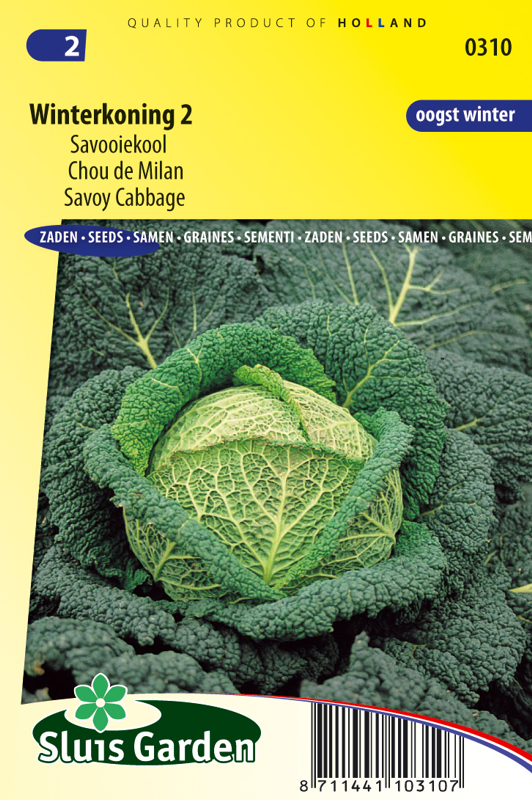 The most winter-hardy savoy cabbage from the range. The flattened oval cabbage of approx. 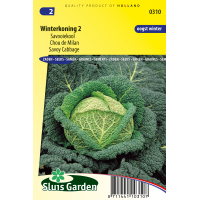 1-1½ kg has greyish green, roughly crinkled and curled leaves. Contains many minerals and vitamins. Sow in a greenhouse or in the garden in seedbeds, then later transplant. Keep soil moist. Transplant to a well worked and fertilized soil. Tolerates light frost. Use anti-insect nets to protect young plants against cabbage midge.